This military officer mask is ready to lead toy troops into battle. 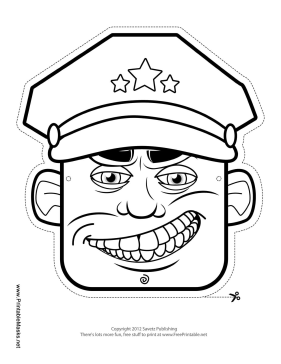 The mask includes a hat with three stars and bold lines to color in. This mask is free to download and print.